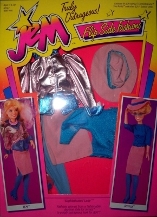 Hasbro package contents listing Includes: lamé jacket, hat with band, blouse, skirt, tights, collar necklace, sandals and sunglasses. 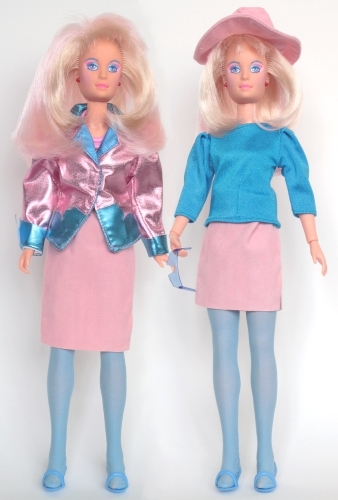 There is a vintage Barbie fashion with the same name. Skip here for a listing of other depictions of Sophisticated Lady (cartoon, prototypes, catalogues, etc). 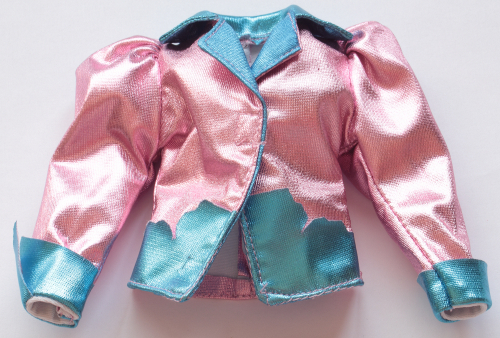 lamé jacket: Pink lamé with large puffy shoulders. 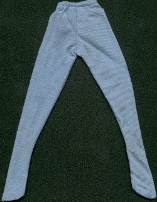 Blue trim on cuffs, collar, lapels and around waist. 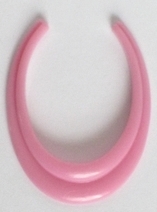 Single velcro closure in front. 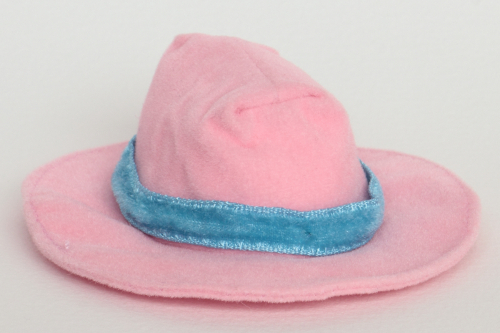 hat with band: Pink velveteen with blue velveteen band, has elastic to hold hat on head. 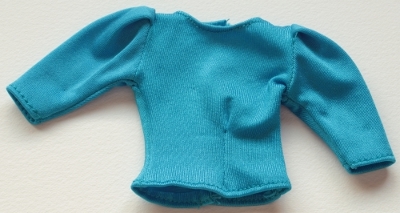 blouse: Turquoise blue spandex, slightly puffy shoulders, small stitch in front. 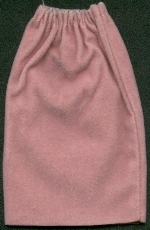 skirt: pink velveteen with slit on the side. tights: medium blue matte tights. The colour can vary, I'm not sure if it's H22/H44-related differences or not. 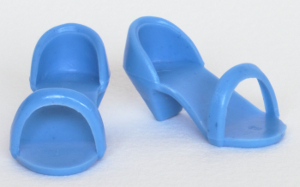 sandals: cornflower blue, "attached" straps without L & R markings on the soles. There are a few Jem outfits with similar style/colour of shoes, see a photo of them together. The H22 shoes may be these greyish ones. 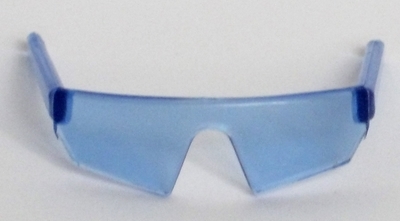 1st Edition Jem & Rock Country also came with blue glasses in different shades. See a photo of all the blue sunglasses shades I know of to tell them apart. It seems likely that there is a "triangle nose notch" version of these glasses as well (possibly from an H-22 box). Packaging Variants: A listing of the packaging that Sophisticated Lady can be found in, that I know of, so far! © 1986 MB España S.A.
© 1986 MB Italy S.r.l. 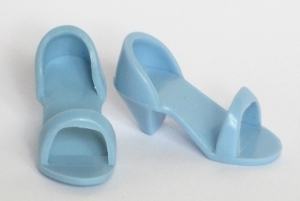 © 1986 Hasbro, Inc., Hasbro Industries (UK) Ltd.
/under Berne & Universal Copyright Convention. US issue Flip Side Fashions, 1986 (illustrated box) © 1985 Hasbro, Inc./Pawtucket, RI 02862/All Rights Reserved./Made in China H44. Folded Jem 1st year illustrated poster with First Year Jem catalogue poster on back. How To Dress Jem sheet. It is probable that the 3 1986 fashions each came in both H22 and H44 marked boxes. 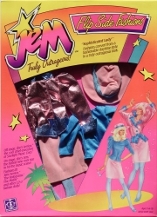 1987 Hasbro Box Photo #1, see top of page, same photo is used on the backs of the 1987 Flip Side Fashion boxes, 1987 US Hasbro Toy Fair Catalogue, 1987 France & UK Toy Fair Catalogue (though Jem & Jerrica have been manipulated to be standing reversed), and the 1987 Jem catalogue poster) # Sophisticated Lady and the other Flip Sides in the 1986 US Hasbro Toy Fair Catalogue shows a "button" on the jacket, the hat ribbon looks very dark, the tights are sheer and blue, and the shoes are straight edged blue pumps. # Sophisticated Lady in the 1986 German Leaflet (same photo appears in the 1986 Belgium catalogue): the hat ribbon looks very dark, the tights, necklace and sunglasses are not shown. She is shown wearing chromed pink straight edge shoes like 1st ed. 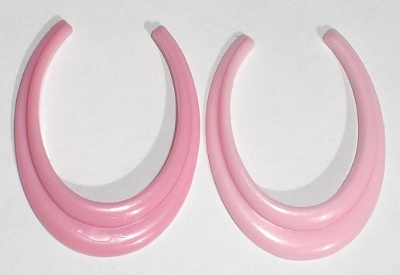 Jem's. # The drawing of Sophisticated Lady on the 1986 Flip Side Fashions box art is close, but shows a blue "button" on the jacket. 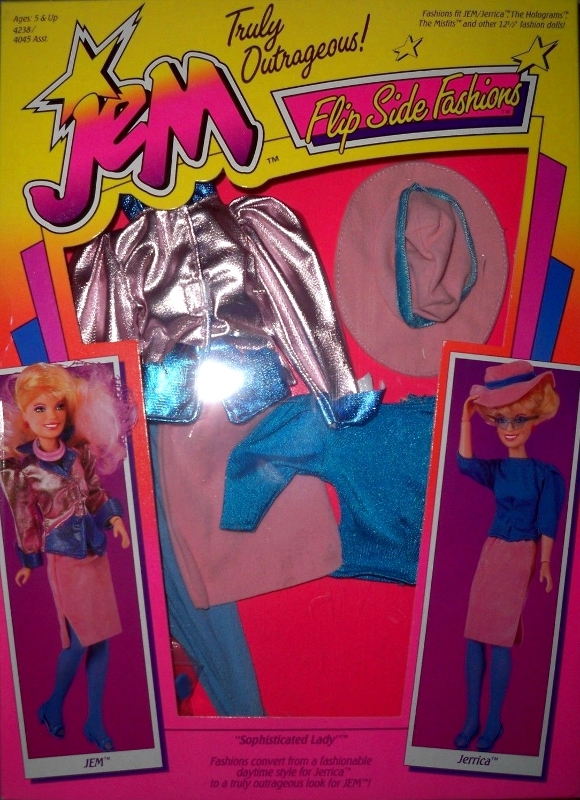 # The Second Year package photograph of Sophisticated Lady, (the same photo is used for the 1987 US Hasbro Toy Fair Catalogue, the 1987 France/UK Toy Fair Catalogue, the Second Year Jem Catalogue Poster) looks like the produced version. # The Jem version for sure, appeared on the cartoon. 1987 Hasbro Box Photo #2, from Sophisticated Lady box front - appears to be the same outfit as Photo #1, in different poses. Credits: Thanks to Glamour to Divaz for letting me photograph their dolls and a couple of clothes pieces, scan of skirt and tights courtesy of Rhonda Robinson. Thanks to Isabelle for the necklace colour difference photo. Thanks to Matt for the photo of the NRFB fashion from 1987.